Witness the diverse landscapes of three of Australia’s impressive destinations in this great 10 night self-drive tour. 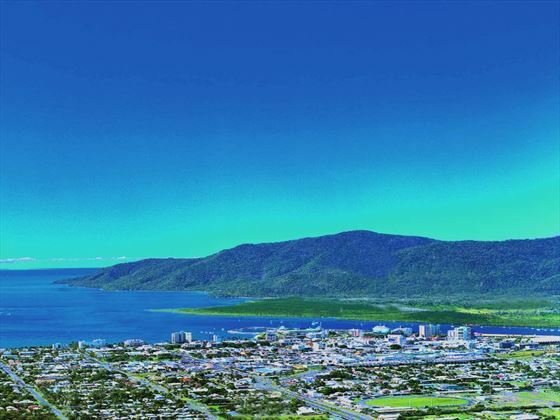 Land in Cairns and explore the jaw-dropping waters of the Great Barrier Reef, before heading to sunny Palm Cove for warm sands and a fun village atmosphere. 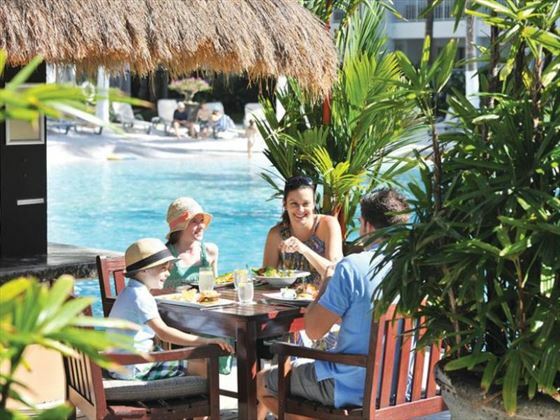 Your encounter with Australia’s amazing sceneries will then finish in the depths of Daintree Rainforest, full of exotic sceneries and enjoyable excursions (TM). 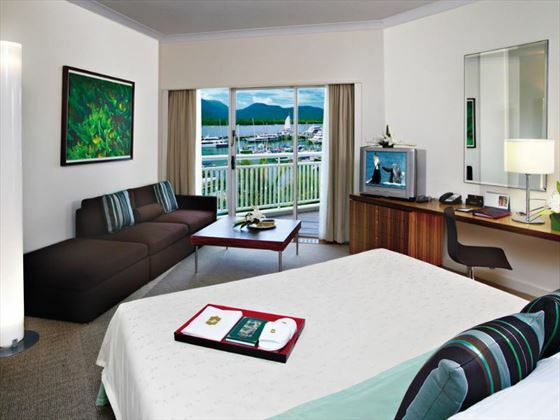 On arrival in Cairns, pick up your hire car and drive the scenic coastal route to Shangri-La Hotel, where you’ll be staying for four nights. 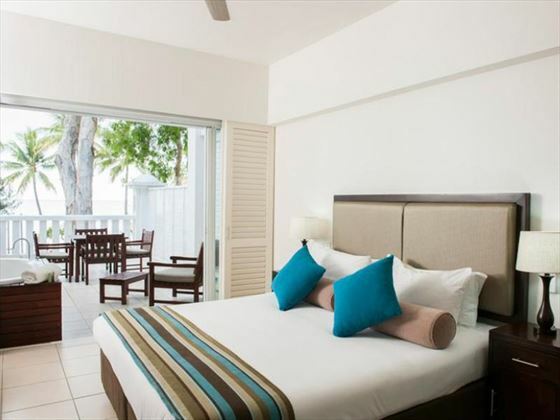 Overlooking the peaceful marina, this laid-back hotel is the perfect place to unwind in between exploring Cairns’ main attractions and excursions. 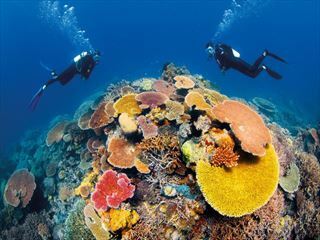 Known as the gateway to the magnificent Great Barrier Reef, Cairns is home to plenty of seaside activities. 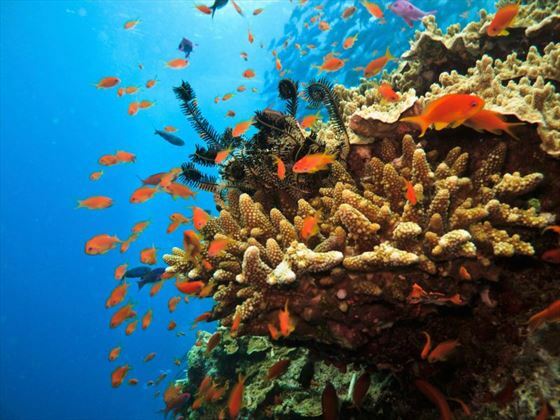 Dive with vibrant fish in Paradise Reef, snorkel at the secluded Green Island, or take a leisurely Sunlover Reef Cruise, with its glass bottom boat and underwater observatory. The hotel is only a short walk from the bustling shops, or you could see it all from above in a fantastic hot air balloon ride. 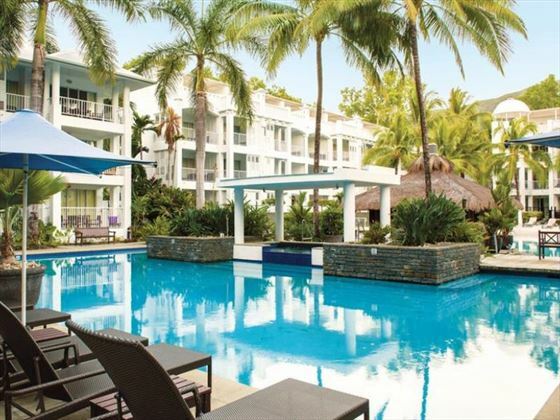 On day five you will drive through towering trees and picturesque views on your way to your next accommodation for three nights, Peppers Beach Club and Spa in Palm Cove. 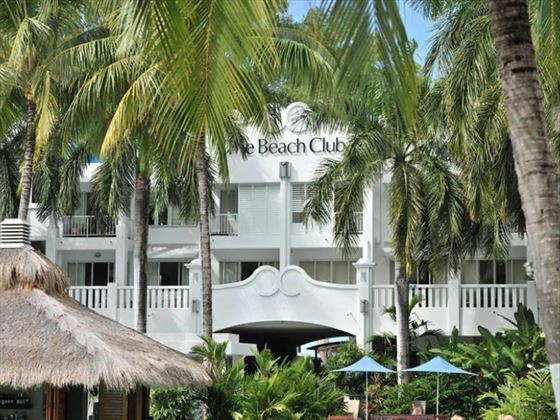 Bordered with tall palm trees and only a short walk to the golden sands of Palm Cove Beach, this is certainly an oasis to come back to after a day of thrilling outings. 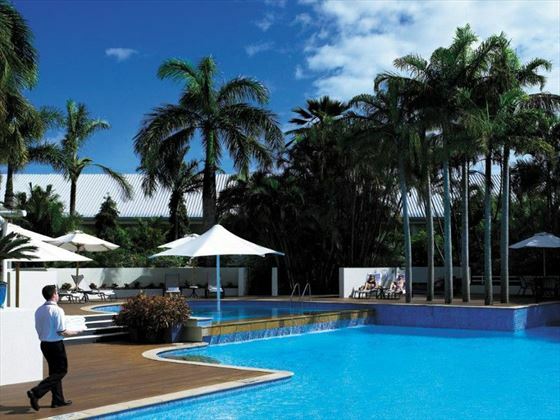 Nearby to the resort are Cairns Tropical Zoo; a treasure trove of exciting wildlife, as well as the opportunity to see crocodiles up-close at Hartley’s Crocodile Adventures. Tjapukai Aboriginal Cultural Park is a fascinating spot to venture to, with live performances, interactive demonstrations and traditional dances and art, or you can get an adrenaline rush whilst kayaking and windsurfing with Palm Cove Watersports. 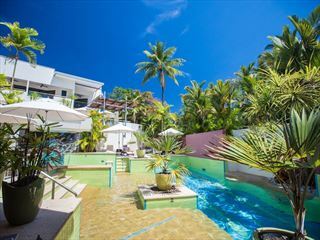 After exploring the beaches of Palm Cove, you’ll drive into the luscious Daintree Rainforest and to Silky Oaks Lodge for three nights. 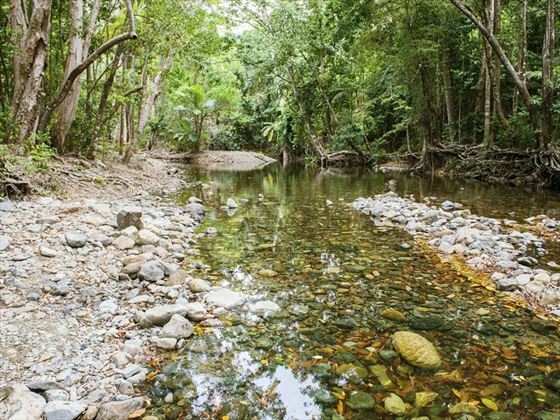 Hidden in the jungle trees of Daintree and nestled next to the extraordinary Mossman Gorge River, this tropical haven will be your base as you take part in fun, indigenous experiences. 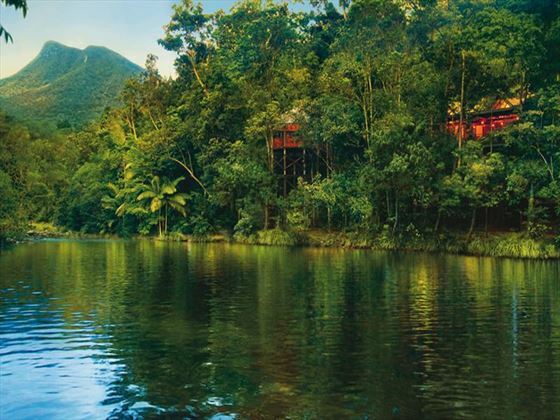 Get at one with nature with a canoe ride along the winding river, and trek through the fauna in search of unspoiled landscapes and breath-taking views. 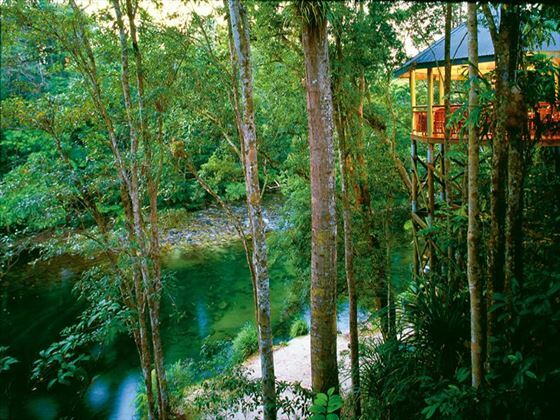 You could even explore the rainforest from up above, whizzing down a zip wire between canopy platforms and big, thick trees, or look out for nocturnal animals on a stirring jungle night walk. 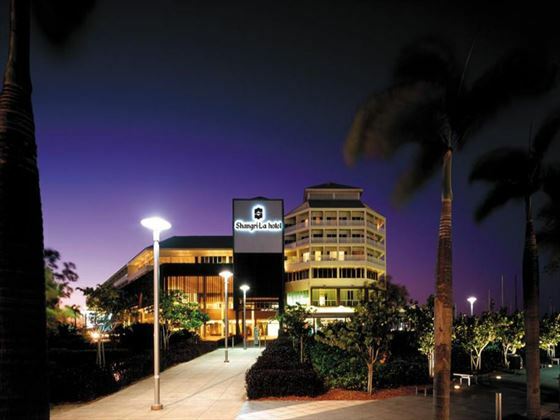 Today you will drive to Cairns Airport, where you will return your hire car and catch your flight home.